Photograph features Women's March Against Poverty participants gathering with signage and protest materials at City Hall. 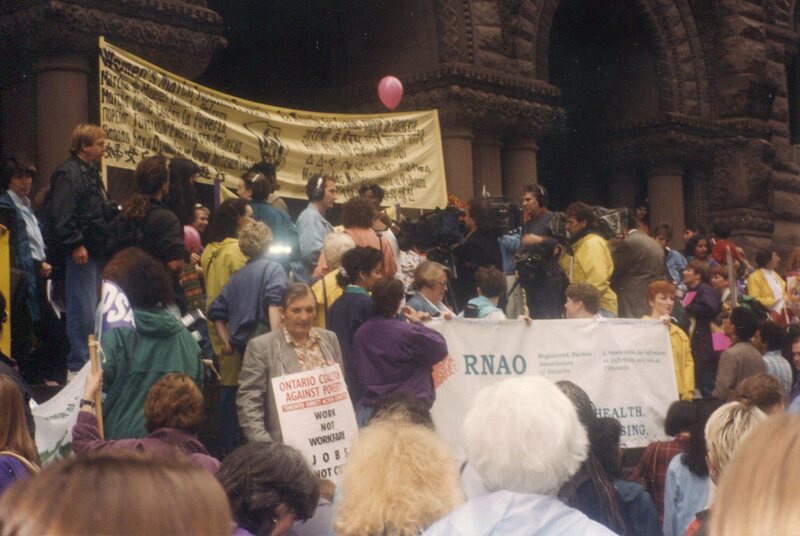 Posters and banners from the Ontario Coalition Against Poverty (OCAP) and Registered Nurses Association of Ontario (RNAO) are clearly depicted. 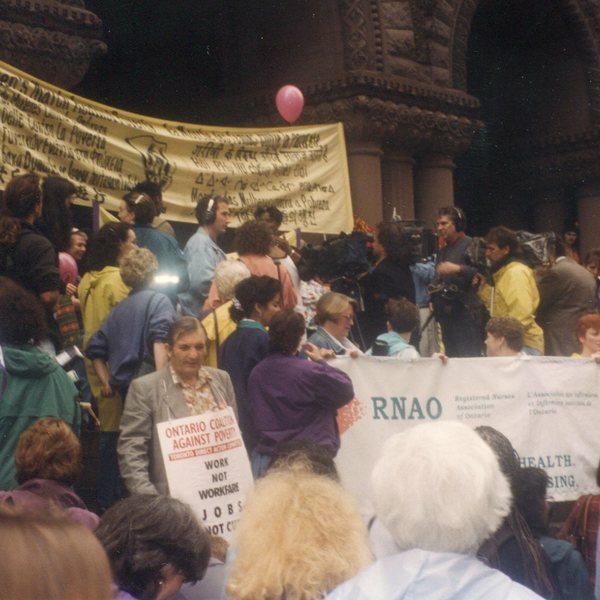 Unknown , “Women's March Against Poverty - Gathering at Old City Hall,” Alternative Toronto, accessed April 26, 2019, https://www.alternativetoronto.ca/archive/items/show/448.